At one point in every climber's career, the skill of crimping is tested. But what most do not realize is that crimping is a learned technique and these are just the holds to teach it. All five are incut and friendly and can be moved to steep walls once you have mastered them on lower angles. They yield V5 on a 45 degree wall. 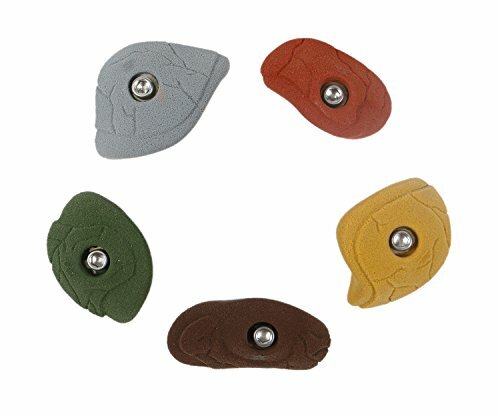 These holds are easy to grab on to for everyone and super comfortable. Earth tone colored holds. Colors will vary from the photo. Comes with 5 indoor rated bolts and 5 t-nuts. View More In Climbing Holds. If you have any questions about this product by Atomik Climbing Holds, contact us by completing and submitting the form below. If you are looking for a specif part number, please include it with your message.